If your perfect idea of retirement involves lots of tailgating, you’re in luck. Bankrate has tapped its database to find cities that are not just good for retirees, but also for anyone who can’t get enough of America’s most popular sport. 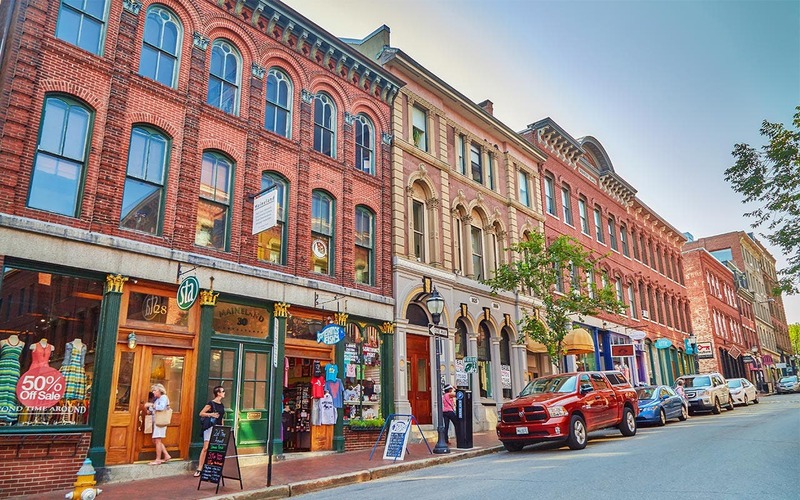 Here’s how we came up with our 10 best football cities for retirement. First, we filtered our database of nearly 200 cities to focus on just those cities with at least one college or professional football team. 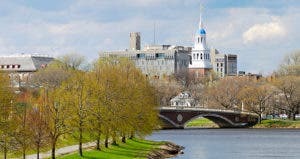 Each city received points according to the number of teams that played there, and they were ranked based on other measurements including cost of living, crime rate, well-being, walkability, tax rates, weather, wellness and health care quality. With all that factored in, we count down to the best retirement city for football fans. Colorado Springs’ ample sunshine makes the city ideal for many outdoor activities: golfing, camping, biking, and, of course, football. The U.S. Air Force Academy is located on the outskirts of the city, and for the locals that means Falcons football. Some of the bigger names in the West cross paths with Air Force Academy during the season, including Boise State, and then there are the rivalries with Navy and Army. If that’s not enough, NFL fans have the Denver Broncos an hour to the north in Denver at Mile High Stadium. 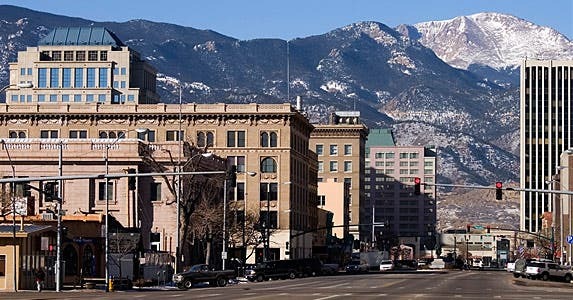 Retirees in Colorado Springs benefit from above-average health care, according to the Agency for Healthcare Research and Quality. 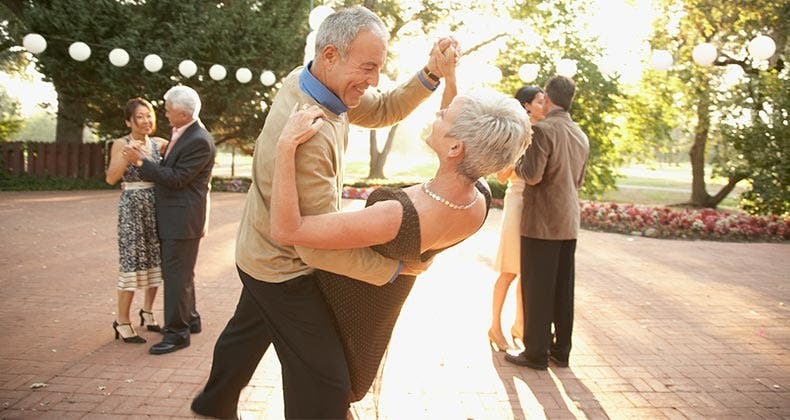 Retirement-age residents also have a strong sense of well-being and satisfaction with their surroundings, according to the Gallup-Healthways Well-Being Index, which tracks these sentiments around the country. 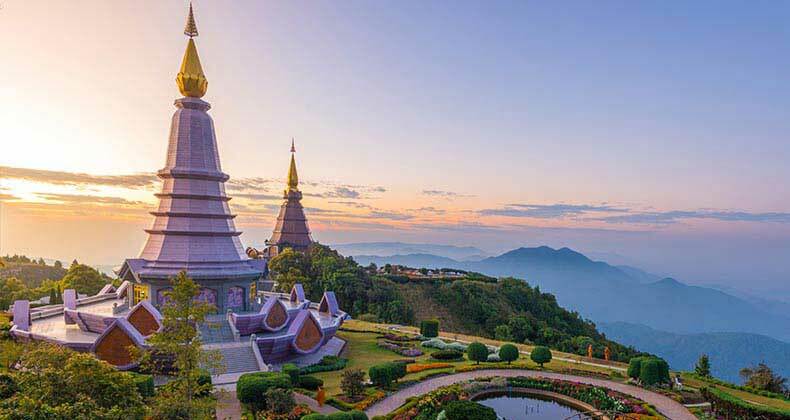 The city also has a relatively low cost of living and a low crime rate. RATE SEARCH: Ready to move, but haven’t started saving yet? Get some interest on your savings starting today by shopping money market accounts. “Hook ’em Horns” is the motto of this city’s famous NCAA team: the University of Texas Longhorns. For college football fans, it’s hard to beat this team. The Longhorns have been playing football since 1893, winning 71% of their games in that time, including 9 undefeated seasons and 4 national championships. 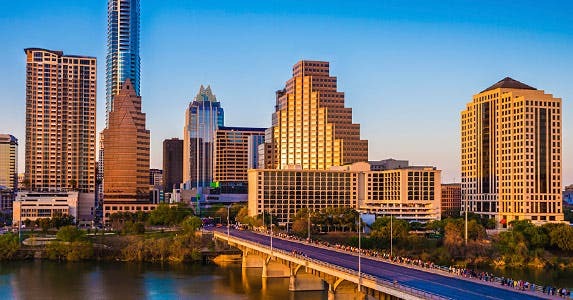 Austin also has a favorable tax climate that’s perfect for retirees. Texas residents don’t have to pay state personal income taxes, and the overall state and local tax burden is the 4th lowest in the country, according to the Tax Foundation. Healthways also gave seniors in the Austin area high well-being scores, which means residents are happy with their surroundings. The city offers a wide array of bike paths and trails, and while summers might be muggy, there are plenty of opportunities to cool off. Public pools abound, and some residents even choose to cruise down the nearby Guadalupe River in inner tubes during hot months. This Pacific Coast city is loved by residents for its beaches, parks, mild winters and low annual rainfall. 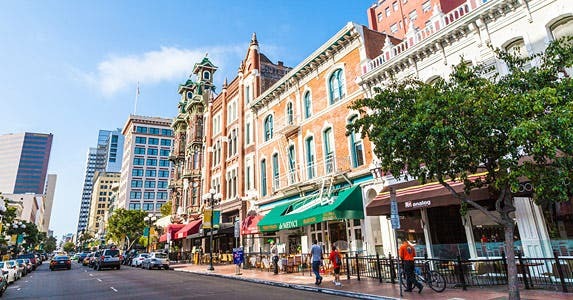 Not only does San Diego have a low crime rate, but the city also has well-known art galleries and cultural institutions, like the San Diego Museum of Art and the San Diego Natural History Museum. Retirees can also enjoy an afternoon with their grandchildren at Balboa Park, touring the many gardens, museums and the San Diego Zoo. When it comes to football, San Diego residents can get their sports fix from 3 teams: the San Diego State Aztecs, the University of San Diego Toreros and the San Diego Chargers, who play at Qualcomm Stadium — the site of 3 NFL Super Bowl championships. The Chargers are currently the only NFL team in Southern California. Yes, Seattle. Despite the rain and cloudy days, there’s still a lot here to keep residents happy. For one, the city is incredibly walkable. Light rail service already connects the city to many of its desired spots, including the airport, and it is trying to expand the service even further. With the assistance of buses and electric trolleys, a lot of errands can be done on foot (though, you’ll probably want to bring an umbrella with you). 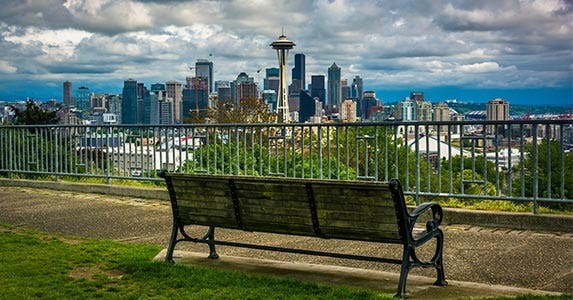 Seattle, which is located on the scenic Puget Sound in the Pacific Northwest, is nicknamed the Emerald City for its many forests and parks. It’s also packed with museums and other cultural institutions, and residents benefit from one of the better health care systems in the country. In addition, residents of Washington don’t pay state income tax. 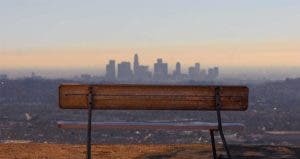 It’s no surprise, then, that the city also ranks high on the Healthways wellness index. 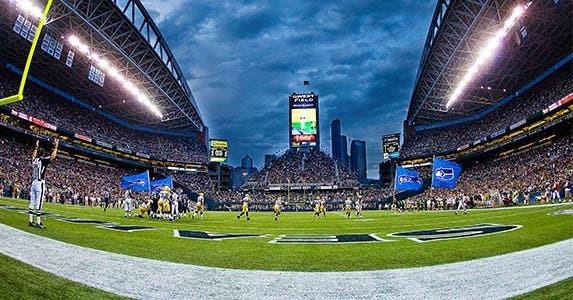 Seattle’s football fans have been spoiled recently by the Seattle Seahawks, who made it to 2 of the past 3 Super Bowls, winning the championship against the Denver Broncos in 2014. College football fans also can take in a Washington Huskies game at the University of Washington, which is one of the oldest universities on the West Coast. 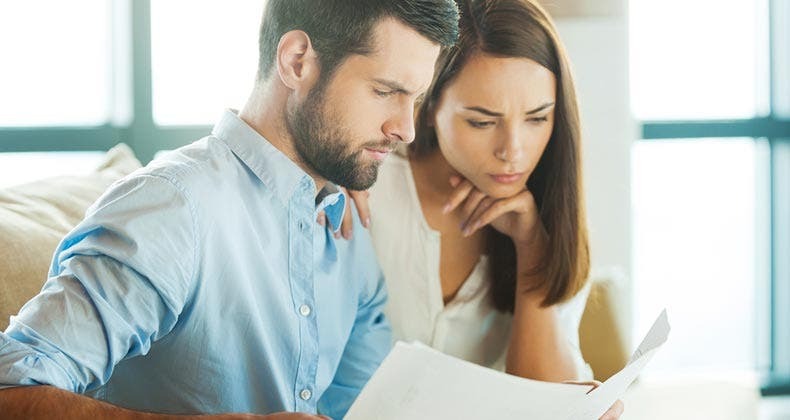 ADVISER SEARCH: Want to move, but you need help saving up enough money? 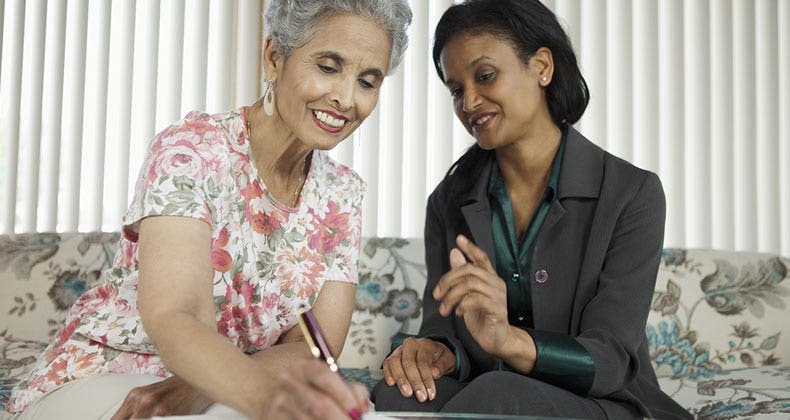 Find a financial adviser today. Denver residents don’t mess around when it comes to the NFL: The city’s football stadium has sold out every Broncos home game since 1969. Helped by the standout performance of John Elway, who spent his entire 16-year professional football career with the Broncos, and Peyton Manning, the team has won 8 AFC Championships and 3 Super Bowls. When the Broncos aren’t playing, there’s still a lot to do in the Mile High City. You can hike a “14er” — a reference to mountain peaks that are 14,000 feet or more above sea level — and celebrate with a craft beer when you’re done. There’s more than 85 miles of paved bike paths, and if it’s skiing you’re after, Vail and Aspen aren’t far away. Denver residents rank high for happiness. For transportation, they can get around on Denver’s “B-cycle” bike-sharing program, which has 87 stations and 700 bikes throughout 10 Denver neighborhoods. 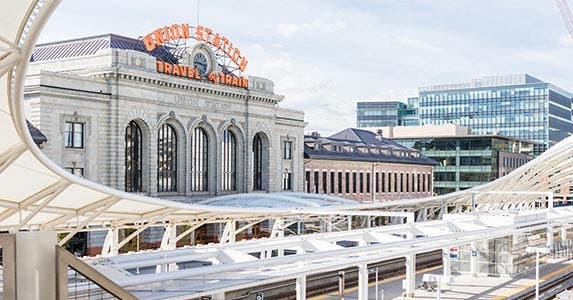 There is also a light rail system that offers service throughout the city, including to spots like — you guessed it — Sports Authority Field at Mile High Stadium. Country music one day, football the next. When it comes to entertainment, Nashville has something for everyone — especially budget-minded retirees. Tennessee has an affordable cost of living that falls below the national average and a favorable tax climate. The state has no income tax and the 6th-lowest overall tax rate in the nation, according to the Tax Foundation. Retirement-age residents have posted high wellness scores from the Gallup-Healthways Well-Being Index, suggesting a general satisfaction with their surroundings. 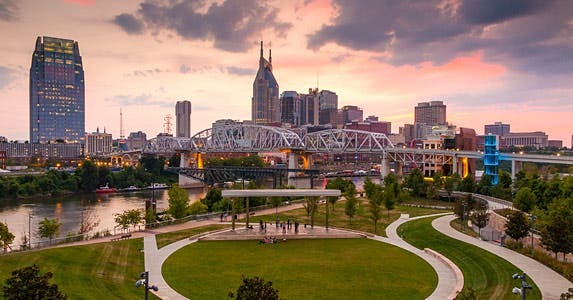 In Nashville, those surroundings include a wealth of music venues, restaurants, outdoor recreation and lots of football. Nashville is home to the Vanderbilt Commodores, the Tennessee State Tigers and the Tennessee Titans. Longtime Titans fans may remember when the team was previously the Houston Oilers and had an oil rig derrick as the club logo. 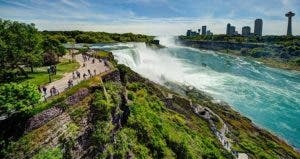 For nature lovers, “The City of Lakes” has it all. Minneapolis has more than 20 lakes and wetlands, a park every 6 blocks (that’s 170 parks total), and about 200 miles of recreational pathways winding through the metro area. Cultural activities abound, with numerous opportunities to experience theater, music and contemporary and modern art at the Walker Art Center, the Minneapolis Institute of Art and the Weisman Art Museum. Like many major cities, Minneapolis struggles with crime. But surveys of retirement-age residents still give relatively strong readings for happiness and life satisfaction. 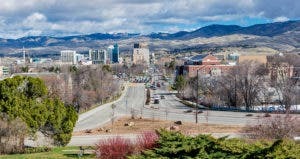 The city also is very walkable, and the state has an excellent health care system, ranking 5th best in the nation, according to the Agency for Healthcare Research and Quality. 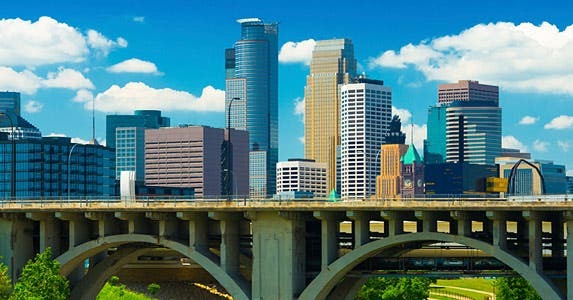 Minneapolis also has the University of Minnesota’s Golden Gophers, who compete in the Big Ten Conference, and the Minnesota Vikings, who have played in 4 Super Bowls. If you attend a home game, you’ll hear fans yelling, “Skol Vikings!” which is the official cheer of tailgaters and fans in the stands. Vikings fans now have the new U.S. Bank Stadium to cheer from, which opened this summer. RATE SEARCH: Consider taking out a personal loan to fund your next football-themed vacation. First, check out the rates today at Bankrate.com. The Old Pueblo is one of the sunniest cities in the United States, and it’s meant to be enjoyed outside. Tucson has plenty of opportunities to hike in nearby mountain ranges and in national parks. There are hundreds of miles of trails, and the city continues to add bike lanes and routes for bikers. Tucson also expanded its transportation service with its Sun Link streetcar service, which spans 4 miles and connects hubs of activity throughout the city. 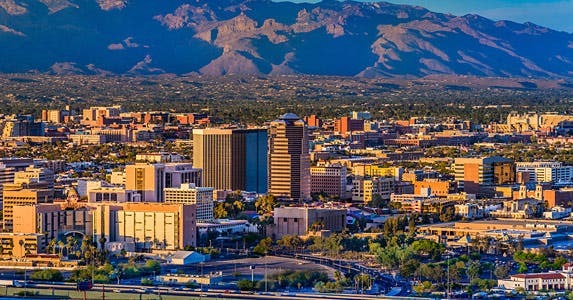 Tucson also received one of the highest wellness scores among the cities in our ranking. Plus, Arizona places a below-average tax burden on residents, according to the Tax Foundation. If lying on a beach sounds like the best way to spend your retirement, then you may want to consider Tampa. With 18 beaches nearby and sunshine most days of the year, there’s rarely an excuse to not spend a day outside. 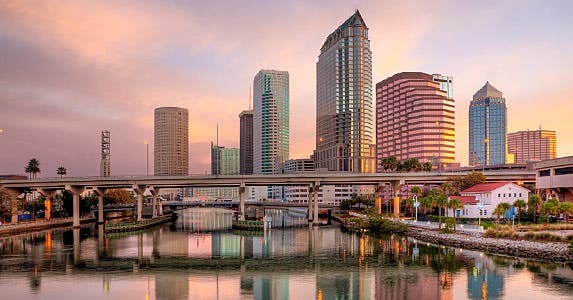 For retirees watching their spending, Tampa also has something to offer: The city has an affordable cost of living, and residents in Florida don’t pay state income tax. Downtown Tampa is undergoing a massive redevelopment, building new residences, shops, restaurants and hotels. Football fans can take in a Bulls game at the University of South Florida or visit Raymond James stadium, where the Tampa Bay Buccaneers, the 2002 NFL champions, play. Tampa has hosted 4 Super Bowls, the most recent being in 2009. Houston wins the crown as the best city for football lovers for perhaps the most fitting reason of all: It’s stocked with football teams. College football fans can revel in the Houston Cougars, the Rice University Owls, the Houston Baptist Huskies and the Texas Southern Tigers. At the NFL level, there’s the Houston Texans, who made it to the playoffs in 2011 and 2012. If that’s not enough for you, then consider this: The city will be hosting the 2017 Super Bowl. 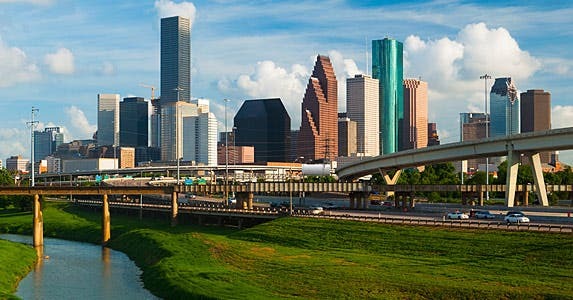 Houston, which is the most populous state in Texas, might struggle with crime like a lot of other big cities, but the city still has a lot to offer retirees. Texas residents don’t pay state income tax, and the state’s 2011 tax burden of 7.5% ranked 4th lowest out of 50 states and is below the national average of 9.8%. If snowy, cold winters aren’t for you, know that Houston has mild winters but can be unbearably hot in the summertime. Thankfully, there’s plenty of air conditioning.